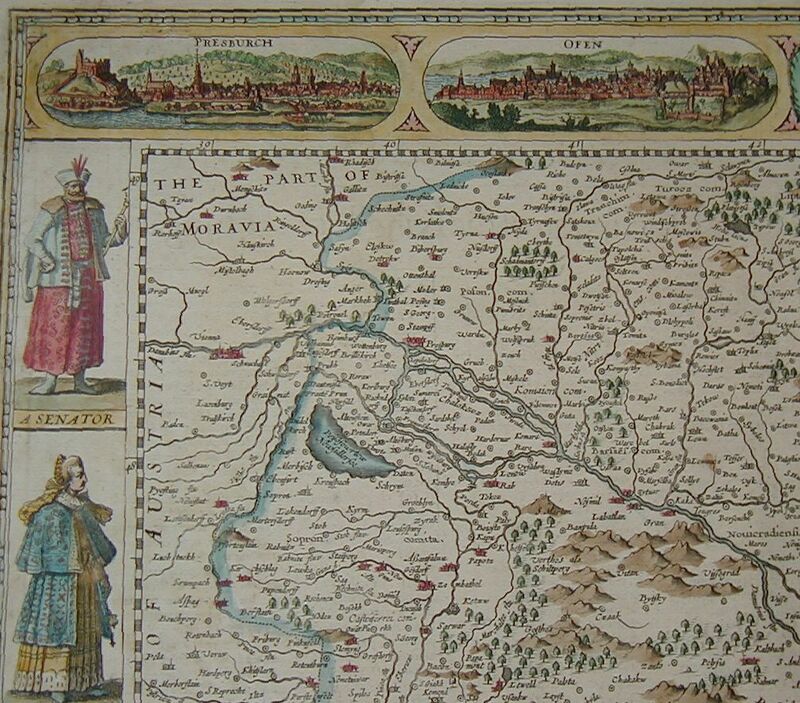 The Ancient Kingdom of Hungary, still divided in this 17th Century period between Austrian and Ottoman control. 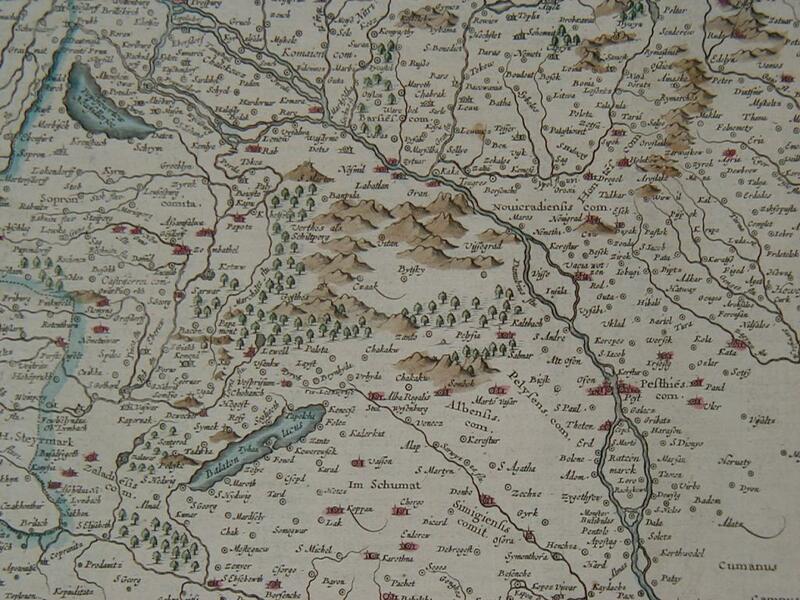 A map engraved by Abraham Goos with four views across the top depicting the cities of Pressburg, Ofen (Buda), Comorra and Raab. 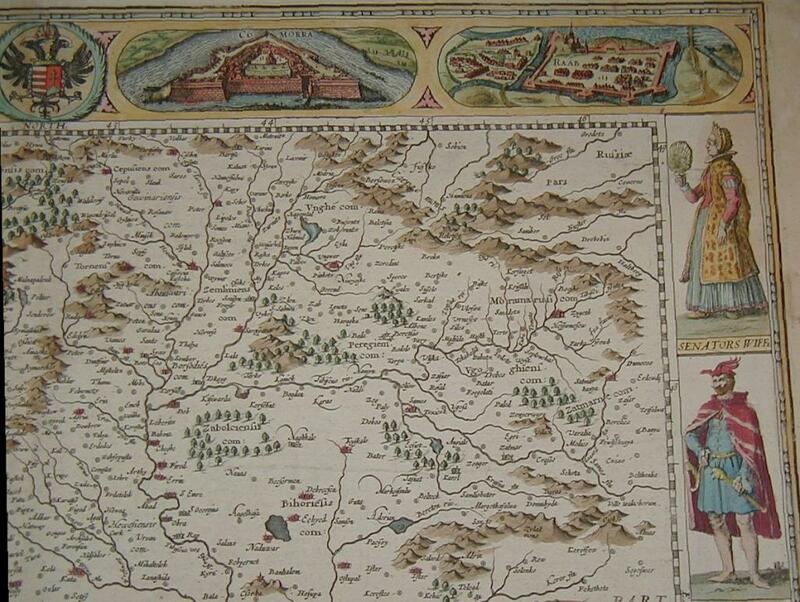 Side panels on either side of the map display the figures of an Hungarian Senator, Gentleman, Citizen and Countryman and their respective female partners. The Hungarian coat of arms appears top centre. 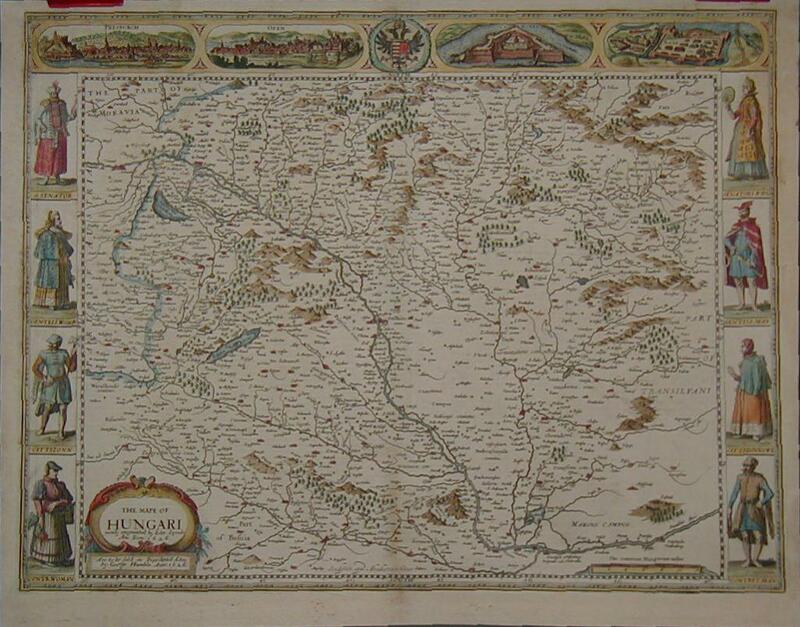 Extends from the Danube and Vienna in the North to the line of the river Sava in the South with Zagreb and Belgrade shown lower left and right respectively. 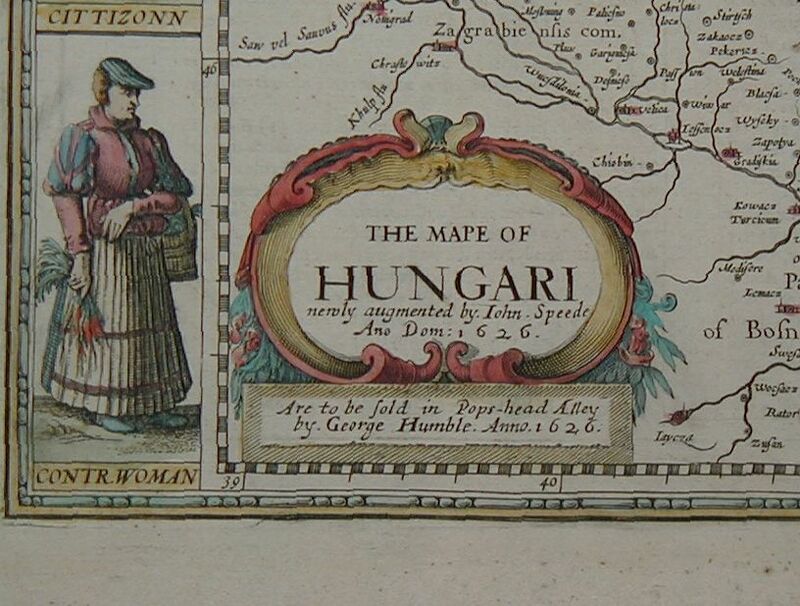 The English text on the reverse once more provides a detailed contemporary description of the history and topography of the Hungarian Kingdom.